R.S. 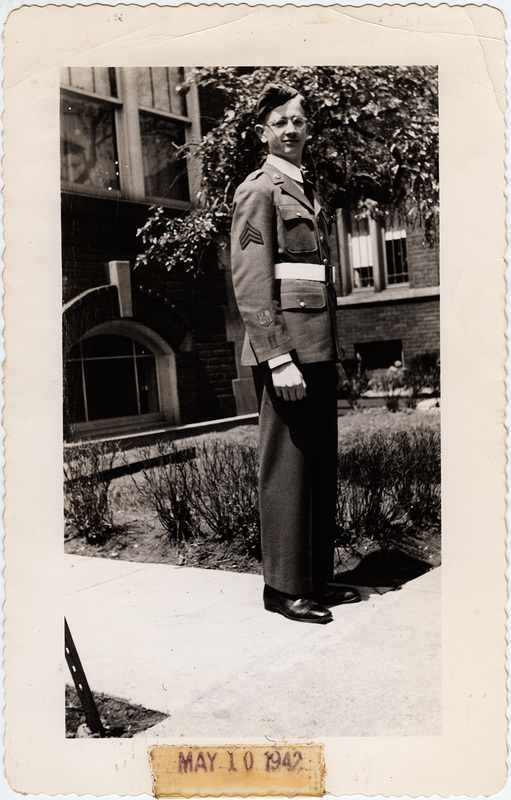 Mendelsohn as a young man, in a Reserve Officers’ Training Corps (ROTC) uniform and standing on the sidewalk in front of a building. A patch labelled “US 4010” is visible on his right sleeve. Part of a tree and lawn are visible behind him.